Isn’t that a great quote? It represents what we’re trying to do around here by building a latticework of mental models. Welcome to Mental Models Memos, a recap of the most important lessons learned by Askeladden each month, overviewing what we’ve added to the ever-expanding encyclopedia of mental models that is Poor Ash’s Almanack. In the vein of Howard Marks’ famous memos, I hope these will be as entertaining as they are educational. They’re not alone – turns out that feeling lost is a recurring condition of being human. One purpose of history, says Gaddis, is to “make us feel less lonely,” and the same can be said for other types of reading. Feeling lost can be terrifying, as explored in Laurence Gonzales’s fantastic “Deep Survival“ (DpSv review + notes) – an amazing book about cognition / intuition / habit / stress, among other mental models in the latticework.x It analyzes(via well-told stories) the fascinating neuroscience of why some people live – and some die – when faced with real-life shipwrecks, and other impossibly awful situations. Gonzales’s follow-up book – “Surviving Survival“ (SvSv review + notes) – covers how to find your way back from being existentially rather than physically lost, and honestly, it might be even better than his first (very high praise, coming from me). Again with the phenomenal juxtaposition of storytelling and neuroscience, Gonzales examines how surviving is merely half the battle – getting through a traumatic event is one thing; getting over it, unfortunately, is a completely different beast. As Gonzales puts it poetically about a lady who survived a crocodile attack, she never really escaped the crocodile: after the attack, it took up residence in her head, even when she was inside a locked house on very dry land. I walked away from the book with a much better understanding of the physical, neurological basis of our tendency to mix up correlation with causation. Our brain’s auto-associative tendency is generally adaptive – it helps us rediscover pleasures, and avoid losses. Especially the latter, thanks to loss aversion – better safe than sorry. We’ve all heard the Twainism about the cat that once sat on a hot stove and never again sat on a cold one. But of course, like any adaptive trait, its adaptivity is context-dependent; put differently, drop the greatest land predator in the middle of the Atlantic Ocean, and they’ll become fish food. Just as learning too little from experiences can be dangerous, so too can learning too much. “In the brain, the cardinal rule is: future equals past. What has happened before will happen again. In response to trauma, the brain encodes protective memories that force you to behave in the future the way you behaved in the past. To borrow terminology from Gaddis’s On Grand Strategy, Gonzales is describing our emotional system as, unfortunately, a natural hedgehog – it knows one big thing, which is to keep us away from what it thinks is bad, and steer us toward what it thinks is good. Parts of our brain are hedgehogs-with-a-hammer; parts of our brain do not have a latticework of mental models: they operate on just one premise. Using our cognition to make the other parts of our brain more fox-like to outsmart our natural hedgehog – and thereby getting the single-minded hedgehog focused on a different goal, since it can’t hold two competing ideas in its mind at once – turns out to be key. Half a world and several millennia away from victims of brutal animal attacks or domestic violence, John Lewis Gaddis explores, in the amazingly concise “On Grand Strategy“ (OGS review + notes), very similar underlying mental models. Gaddis extends the zooming-in, zooming-out, building-understanding-through-metaphor approach that he extols so beautifully in “The Landscape of History“ (LandH review + notes), deftly taking notes from Leo Tolstoy and Isaiah Berlin (the latter of fox and hedgehog fame) and applying them, in a very multidisciplinary way, to understanding the grand strategies of historical figures – and why they succeeded (or failed). It’s important to not get the two confused – and, problematically, they can often conflict in the short term. What does it mean to head towards your goal? “A compass, I learned when I was surveying… it’ll point you true north from where you’re standing, but it’s got no advice about the swamps, deserts and chasms that you’ll encounter along the way. The problem, of course, goes back to what Gonzales was talking about: over-learning from short-term conditions in a dynamic environment that can and will change – perhaps dramatically – making those lessons neutral at best and counterproductive at worst. “The brain can seem at times like a confounding bureaucracy with different departments arguing with one another. The amygdala is not in the Rational Department. It doesn’t care that, at times, its responses might make no sense. The emotional system can’t allow you to think about your reactions. Gonzales doesn’t know it – he’s talking about recovering from a crocodile mauling – but, zooming out and in as Gaddis is wont to do, Gonzales accidentally does a pretty good job, there, of summarizing why King Philip – and Napoleon – managed to lose on a spectacular scale despite commanding massive armies with nearly infinite resources compared to their opponents. One important takeaway: successful leaders from Octavian of Rome to Queen Elizabeth of England to President Lincoln of America used structural problem solving to their advantage, just like Richard Thaler did to help people save far more for retirement without ever noticing a lifestyle haircut. In contrast, immature, unsuccessful leaders – like Marc Antony, King Philip, Alexander the Great, and so on – “confused aspirations with capabilities” and “learned limits only through failures,” such as when King Philip’s Spanish Armada was massacred. They tried, in other words, to win through grit. Grit is neither an effective nor sustainable grand strategy. Gaddis formally defines the term as: “The alignment of potentially unlimited aspirations with necessarily limited capabilities.” Opportunity costs and bottlenecks are key models here. This is merely the tip of the iceberg in terms of lessons from these two books. Both Gaddis and Gonzales use the extraordinary to better illustrate the ordinary. The truth – thankfully – is that most of us will never be a President tasked with abolishing slavery while keeping the Union together. Most of us will never have to recover from the physical and mental aftereffects of a shark attack or an IED. And, indeed, many of the practices that are adaptive in those situations may not be adaptive in our less-critical situations. But the underlying principles remain equally adaptive. Gaddis, like Stephen Covey in 7 Habits, differentiates between timeless (universal) principles and specific (situational) practices. The goal of mental models learning is to find the former, our “true north” (by reading broadly) and then apply the latter, on a situation-by-situation basis (avoiding swamps along the way). So let’s examine a more “everyday,” relatable example. As often happens, both myself and one of my best friends, in the past six months, were faced with the unfortunate (and emotionally difficult) need to get over some Stockholm Syndrome and extricate ourselves from abusive, toxic relationships – in my case from a close friend whose constant deceit, massive ego, and profound lack of empathy all represented directionally sociopathic behavior; in my best friend’s case from a significant other who was controlling, demanding, hypocritical, and unappreciative. When I fell hard, you took a step back, without me. You never loved me, or her, or anyone. or anything. Yeah, I knew you were trouble when you walked in. So shame on me. Now I’m lying on the cold hard ground. Now, our perpetually boy-challenged Ms. Swift might be succumbing to just a touch of hindsight bias here… and I might be stretching the limits of being multidisciplinary. Aspirations, Gaddis stresses, must be proportioned to capabilities. In one sense, wanting to rule an empire on which the sun never sets is really no different than wanting to have a relationship with a specific person: there is a tangible end (true north on your compass) that, for whatever reason, is desirable to you. And that’s fine. It’s a free country. But that aspiration will be bottlenecked by your necessarily limited capabilities – if a bunch of swamps lie between you and your always-sunny empire (or someone you care about), then your capabilities had better be up to the task of swamp-crossing. If they aren’t, well, either you need to find better capabilities, or you need to lower your aspirations. Of course, lowering your aspirations is never easy. Loss aversion kicks in: the aspirations have become part of our endowment, and we’re loath to give them up. There were, perhaps, few objective senses in which King Philip needed to conquer more territory than he already controlled; the same could go for Alexander and Napoleon. But as a friend of mine put it (eloquently, I thought): many of us are moths flying toward a flame. The flame is probably terrible for us in a very clear and non-negotiable objective sense, but we still keep chasing it anyway. The world, as it tends to do, singes our wings when we fly too close, offering us tangible evidence that we should take another path. But, thanks to overconfidence, we often dismiss that evidence, like King Philip did – or, worse, thanks to commitment bias, we point to all the investment we’ve made as a justification for staying the course (like Napoleon did), even if our path leads us directly into the flame… or Russian winter. Neither Xerxes, nor Philip, nor Napoleon needed to meet the ends they did: they created the conditions that led to their own demise. Simple (albeit difficult) choices could have led elsewhere – to more prosperity. And this is what our boy-challenged Ms. Swift finally managed to do, unlike Xerxes and Napoleon and the rest of them: take Alfred Pennyworth’s advice to pick ourselves up, and then, critically, to stop falling into the same well over and over again. I remember when we broke up, the first time. Saying this is it, I’ve had enough. Then you come around again and say, baby, I miss you and I swear I’m gonna change, trust me. And I’m like, I just, I mean, this is exhausting, you know? Like, we are never getting back together. Ever. Now, my knowledge of Ms. Swift’s discography is… limited. Any more and I’d fall below what Gonzales calls, in Surviving Survival, the “Personal Scum Line” – the line below which you can no longer have self-respect. It is entirely possible that Ms. Swift subsequently reverted back to old, maladaptive behaviors. I do not wish to investigate. For the sake of a nice clean story, we’ll leave it here. In any event, my friend and I took a page out of Tay-Tay’s book: clearly, neither our capabilities to change others, or our respective someones’ capabilities to be fundamentally decent human beings, were well-matched to our aspirations of having a functional relationship with that person – so, since the capabilities couldn’t change, our aspirations needed to. At some point, as Covey puts it in The 7 Habits of Highly Effective People (7H review + notes), the problem isn’t out there – it’s in here. And those are, it seems, some of the keys to resilience, whether as a kid or as a country, along with some other tools on the keychain. 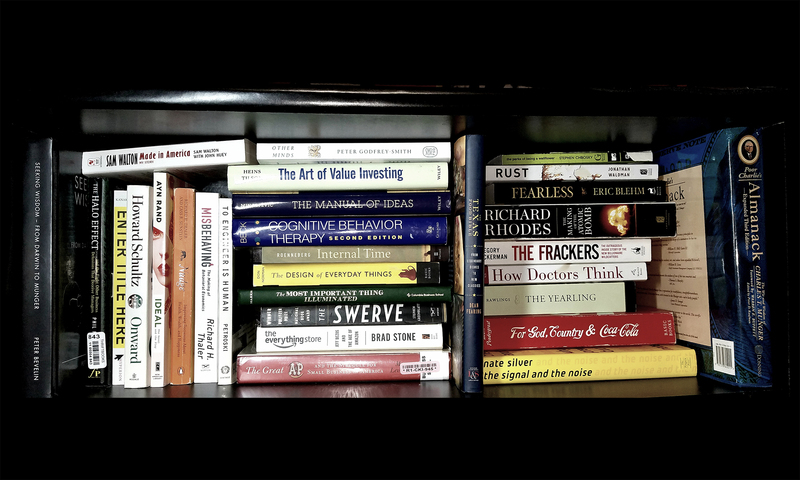 Surviving Survival, (SvSv review + notes) and “On Grand Strategy” (OGS review + notes) are both great books that enriched my understanding of numerous mental models; takeaways have been incorporated in a dozen or so mental models around the site. Enjoy!